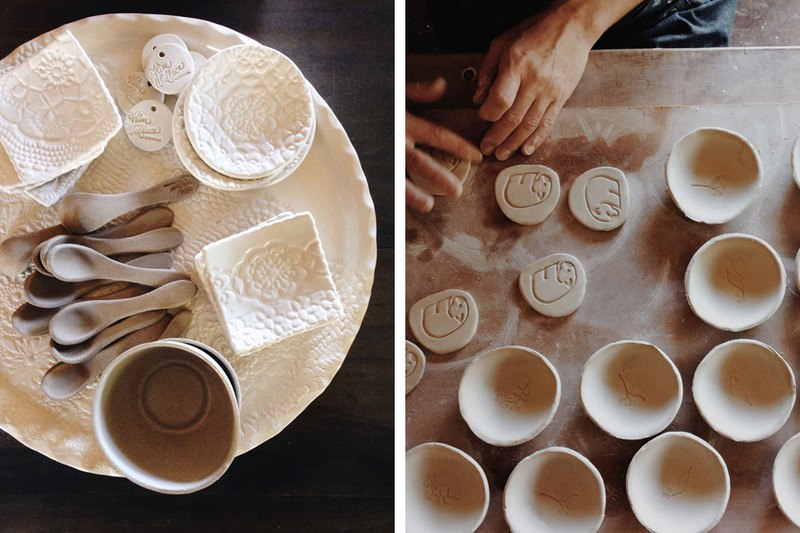 Image features Kim Wallace and her handmade ceramics captured at our Brisbane market. 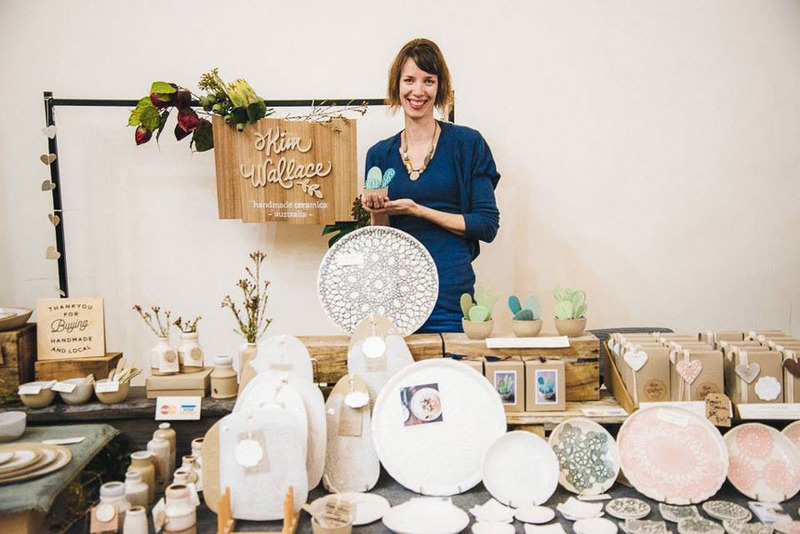 Kim Wallace Ceramics has been involved with the Finders Keepers markets for many years now. One thing we can always be sure of is Kim’s meticulous attention to detail, and the incredible care taken with not just her products, but her stall display as well. Today we chat with Kim to discover a little more about her label, inspirations and some exciting new creations in the pipeline! I was born and raised in the Netherlands, and came here 15 years ago travelling as a backpacker! I met a wonderful Aussie boy, who is now my husband and have been calling Australia home ever since. I love it here! I am a graphic designer by trade and after many years in the industry, got a little itchy and wanted to get my hands dirty again (literally!). I rekindled my passion for ceramics and started making things in the corner of my townhouse garage, work often drying wherever I could find space including all over the bonnet and roof of the car! 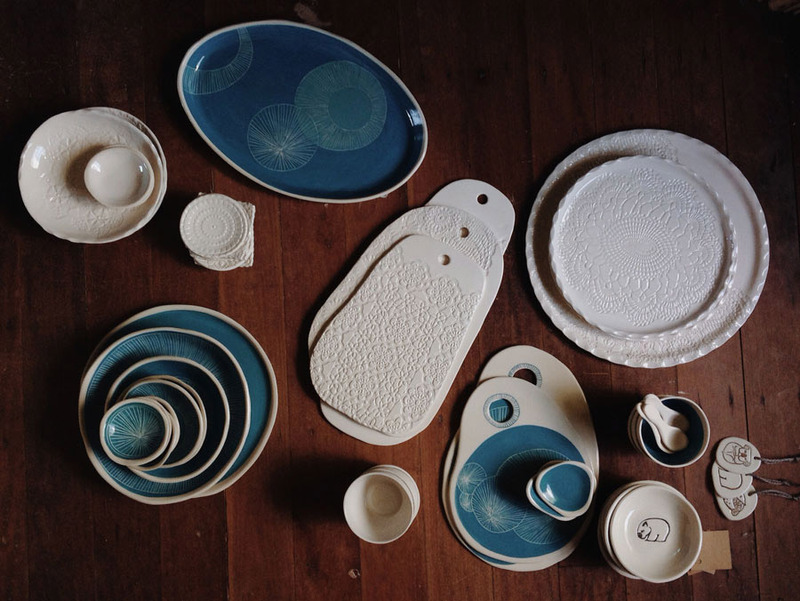 Since then my little business has slowly grown to a boutique ceramics studio producing handmade tableware and gifts. We are now based on the Sunshine Coast where I juggle work with family life and raising two little ones. My studio overlooks the stunning hinterland with ocean glimpses in the distance, a far cry from where I first started. 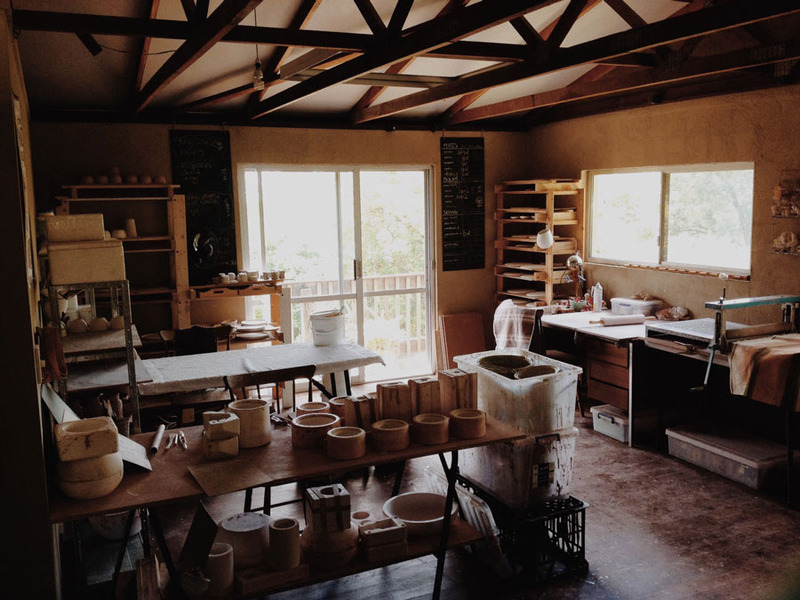 I have the most wonderful studio assistant and together we supply well-known restaurants around Australia, as well as my lovely stockists and of course my online and market customers. Keep it simple! I often think back to my first ever Finders Keepers event, where I had NO idea what mayhem I could expect. I was folding gift boxes on the spot, I’m sure I still had lots of pricing and other bits to do behind the scenes and meanwhile customers were lining up! BE PREPARED! If you can do it ahead of time, do it, don’t wait for the day. I’m always finding many exciting things on the horizon! Firstly I am very excited to be expanding my ‘Littlies’ collaborative range with artist Renée Treml. 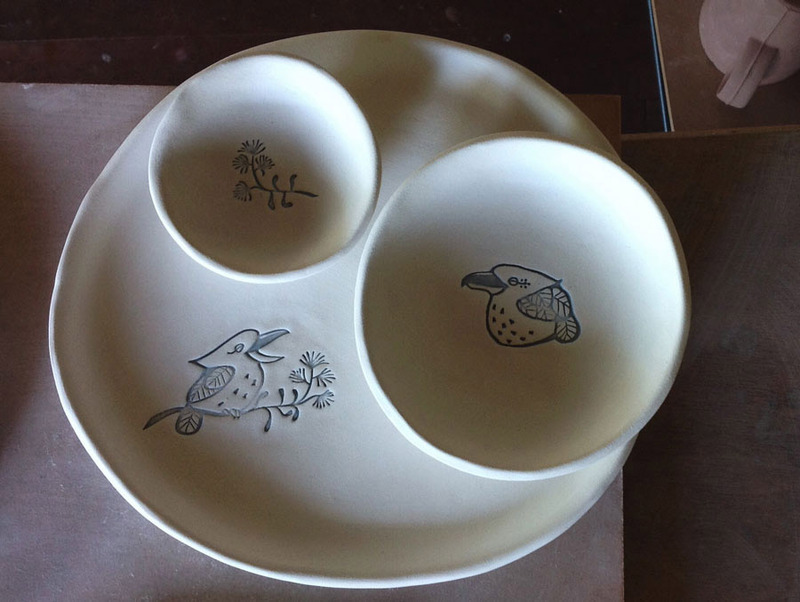 We will be adding gorgeous plates and bowls to the range featuring our favourite native Australian animals including the koala, wombat and kookaburra. Furthermore we are knee deep in some very exciting orders that will travel to some of Australia’s best restaurants so I can’t wait to share more on that! Instagram! It has been my best and favourite marketing tool, though I feel a bit strange even calling it that. It’s more like instagram has given me a lovely community and world of colleagues to connect with, which you simply don’t get otherwise starting a home-based business on your own. I love it ~ I love sharing my work, the instant feedback, the support, the inspiration from the people I follow, and the contacts and opportunities it has brought me. It’s hard for me to name a specific product, I think what I love most about my work is seeing it all come together as a collection and for customers to mix and match their favourite pieces. The different clays and glaze colours all work beautifully keeping it simple and uniform, mixing the natural tones or even throwing in a splash of the popular aqua colour. I have recently designed a small range of table runners and tea towels to build on the collection and pull it together as a whole, finishing off your table setting beautifully, whichever pieces you decide to choose.